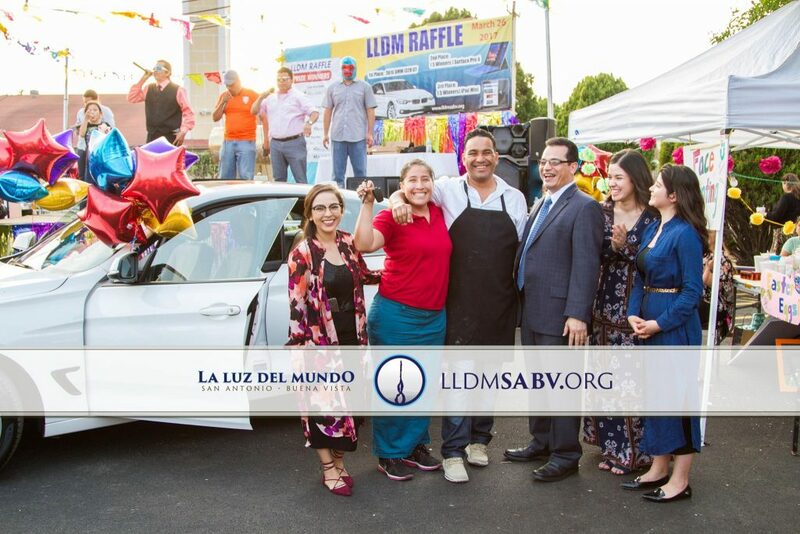 SAN ANTONIO – The March 2017 Raffle prize drawing is hosted Sunday afternoon at The Light of the World Church at 2318 Buena Vista St. First prize is a 2016 BMW 328i GT, second prize is a Microsoft Surface Pro 4 with five winners, and 3rd prize is an Apple iPad Mini with five winners for a grand total of eleven prizes. Food booths, face painting, and bouncy castles are also part of the event. The raffle is broadcasted live to allow ticket buyers to watch online. Prize drawing was held on Sunday, March 26, 2017.